OMAHA, Neb. 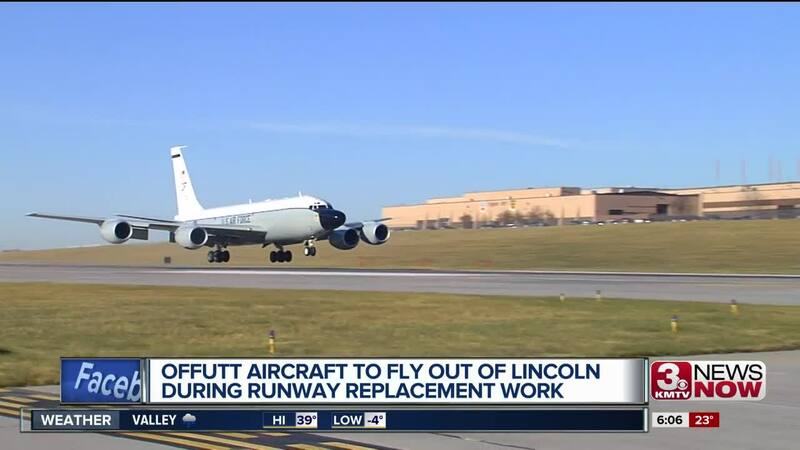 (KMTV) — Air traffic from Offutt will soon be flying out of Lincoln so the base's runway can be replaced. The fix is part of a 100 million dollar project funded by the Pentagon. Crews at the Lincoln airport will make some adjustments to get ready for the Air Force planes, including repairing the tarmac and updating a former maintenance hangar.